Indeed, as Nintendo President Satoru Iwata announced, “something is on the way, and it isn’t just the moon.” During the Nintendo Direct today, Nintendo revealed that Majora’s Mask is being remade for the Nintendo 3DS and 2DS, and will be available spring 2015. Majora’s Mask was originally released on the Nintendo 64 in 2000. The remake features all of the original content, now entirely in 3D. For those of you new to the game, Majora’s Mask takes place in the area of Termina, instead of the typical Hyrule. Only Link can save Termina from the mysterious Skull Kid and stop the moon from falling and destroying everything. Oh, and you only have three in-game days to complete all of this. 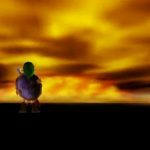 Satoru Iwata describes the world of Majora’s Mask as “very strange and somewhat spooky,” which is definitely true, as it’s regarded as one of the darker games in the franchise. 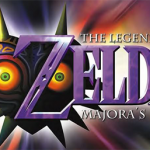 A special edition of Majora’s Mask 3D will be available for Zelda fans in the United Kingdom. This special edition of the game comes with a steelbook game case, a double-sided poster, a special Majora’s Mask pin badge, as well as the game itself. Price and availability have not been announced. It is also not known if this will be available in other regions outside of the UK. We’ll provide more information as it is revealed, so be sure to check back frequently!